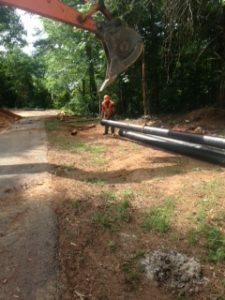 The Water System Replacement Project that began construction on June 1, 2015, is now complete as of June 30, 2016. 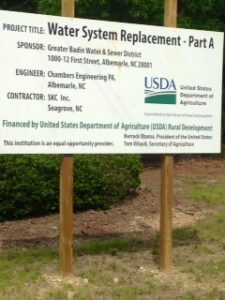 The project was funded by the United State Department of Agriculture (USDA) and the contractor was SKC, Inc. The residents of Badin began receiving newsletters in June 2015, along with their monthly statement, keeping them informed as to what had happened the prior month and what they could look for in the upcoming month. Our construction map on-line was updated daily as to where the work crews were located and what streets would be closed during the day to traffic flow but always re-opened at the end of each work day. 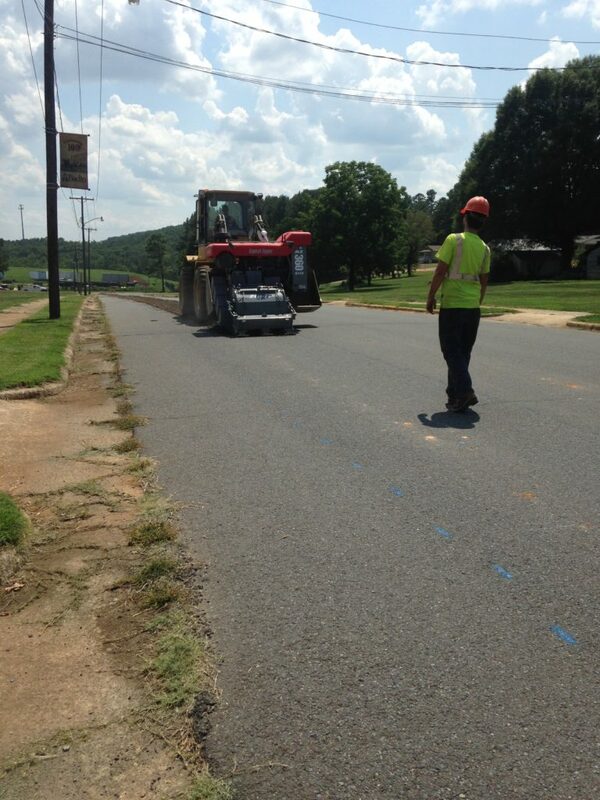 This project began at Hwy 740 and Wood Street and ended on Stuart Street and Hwy 740. Our project got off to a good start with favorable weather conditions for several months. Then the rain hit the area hard in October and November with record rainfalls for a couple months that slowed progress. Winter brought colder temperatures, sleet and snow that slowed the progress considerably; not to mention the buried rock to loosen, remove, work around and sometimes through with the help of a rock hammer. Things picked up in February when a second work crew joined in to assist with the digging process. 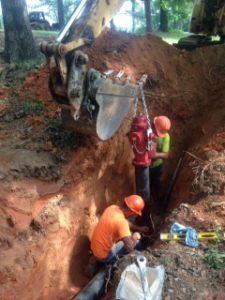 Installation of water lines was now moving at a good pace. In March, the installation of service taps, paving, and seeding took place. 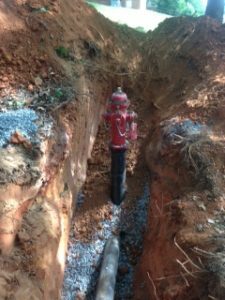 With 22,471 feet of new water line buried, 33 new fire hydrants, 220 new meters changed over and services connected, we are sure this will make a favorable improvement of water quality over the 100 year old water line that was being used.